3. 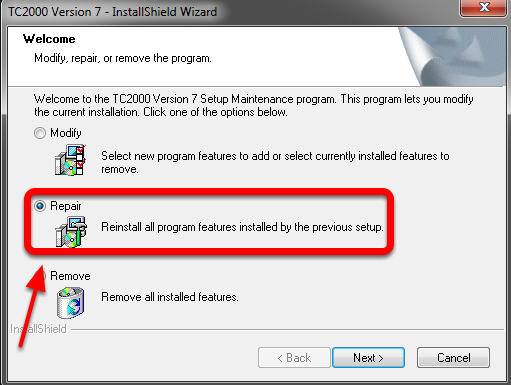 Choose the Repair Option in the TC2000 Version 7 - IntallShield Wizard WIndow. When the Install Completes click Finish. 4. 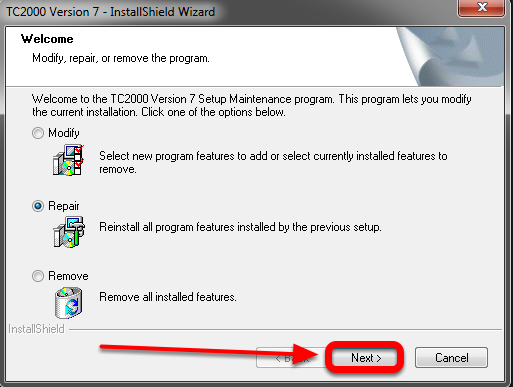 Start TC2000 v7 by double left clicking the desktop icon. 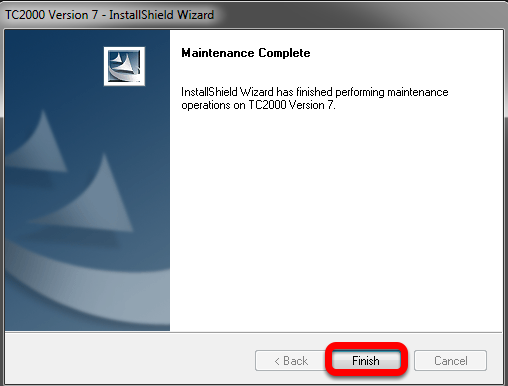 TC2000 will finalize the installation, this could take 5 minutes to an hour (Depending on the speed of your computer). 6. 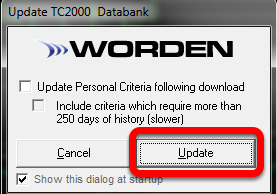 Once TC2000 v7 is open click the Update button to update the data.